Following on from yesterday’s topic of Africa and technology, I figured it would be good to touch on what I think is one of the big tech wins for Africa and that is mobile money services like Mpesa. The IMF has a report from 2014 that looks at the penetration of various financial services in the different regions globally. You can find it here. Mpesa, the mobile money service launched by Safaricom in 2007, is by far the biggest player on the continent in the mobile money space. Many have tried to migrate it to other markets but in South Africa for example, Mpesa has failed twice. You can find the CNN report on Mpesa here. This afternoon an article by BusinessTech.co.za on the average salary of employees in South Africa’s big banks got me thinking about the hotly debated issue of the wage gap between CEOs and employees. To today I share what I stood out to me in a very brief reading of the subject. 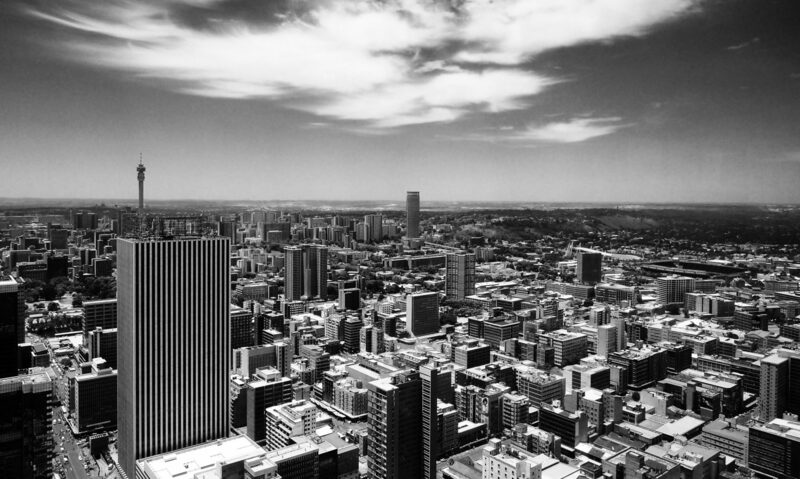 The article by BusinessTech.co.za looks at the average salary in the bank based on the published financial results. I then personally took those numbers a bit and came up with some views of my own. These views were mostly reaffirmed by another article, this time on Forbes.com. It would be great to get your thoughts on this top. Call in from the Anchor app or leave a comment below. You can also find some of my work life focused episodes here. This morning I was having one of those conversations with myself (that I hope many of you have) where I staged a debate in my head. The topic of the debate followed on from an earlier thought about a TV Show – Netflix original – that I am a little hooked on right now. The debate that raged in my mind was if Big Bang Theory is for myself and others in my circle of friends, what Friends was to a slightly older group of friends. I say this only because at the moment, I don’t think my wife is listening to every episode of my podcast and so I won’t be in trouble because she is only very slightly older than me and watched almost all of Friends. These thoughts bring me to the topic of today’s Throw Back Thursday. What TV Shows do you remember and why did you like them. Here are some of the shows I recall from all ages. Many when I look back at them now, I wonder why we thought they were so great. Well, I apparently got to sit in KITT when they toured South Africa while I was a kid. I recall nothing of it, but I do recall the show. If you were a kid watching MacGyver you undoubtedly had a desire to building things after every show and of course, get a pocket knife like his. Why would you not recall a man who gains the life of others like him when he chopped off their head with a sword. It is not possible for me to go into all of them, but some other names that come to mind of shows, some I remember more vividly than other. Let me add before I list them, that if some seem much older than you think or know that I am, South Africa got TV late compared to some countries (or so some have told me) and it was heavily censored under the government regime of the times. Also, many of the old programs that required you to tune your radio in for the broadcast in a different language to what was on the actual box, were years later rebroadcast from the old archives of the cash strapped and state run, the national broadcaster, the SABC. Some of the other shows I recall, Hardcastle and McCormick (loved the car), A-Team, Who’s The Boss, Cosby, and don’t laugh too hard for this one, but sometimes as a kid, you can’t choose what was on the box, The Golden Girls, besides, that is how I know who Betty White is. Then there was Three’s company, Full House and Balki from Perfect Strangers. Star Trek was a stable diet for many years in its different formats. I still get the tune from Murder She Wrote in my head every now and then. I would never want to be anywhere near a character like that, the risk of being killed was too high. I recall Steve Urkel in Family Matters (though until I Googled his name I could not tell you the name of the show). I also recall X-files, The Fresh Prince of Bel-Air, Frasier, a little bit of Mad About You, the tune for Law and Order and who can forgest Ray’s mother reversing the car through his house in Everybody Loves Raymond. There are some other shows that I cannot recall the names of or mention, but you get the point. So to quote Darkwing Duck “let’s get dangerous”. What are shows you remember from your younger years? Stress is something that most people will experience in their lives at some point and so following a request for listener feedback to the show, I want to share some of your calls and have a short discussion about the subject. Thank you, Scott, for your call in. It raises some interesting points. I think we have to keep in mind, as you suggested, that the nature of our society has changed. Given the way in which so much of our existence revolves around the need for money to provide for food and shelter, a threat to our job security as an example could feel very much like an elephant strolling through your garden if you were an early farmer. I agree that some things perhaps stress us more than they should, but other things certainly trigger those responses you mentioned with some justifiable cause. And on the breathing matter, I found it interesting in my research for fitness trackers how this is becoming a focus feature for many new models. Thank you, Mike, I can understand how you get stressed out by what you shared. Chatting to my wife she raised the following points or techniques she has been trying and which I am looking to apply. My wife uses her smartphone as a great way to organise her tasks for the day. Hold a ten-minute meeting with yourself each morning where you soulfully search what you and those around you, need you to do. As far as possible, focus on one task at a time in a mindful manner. Often we do things just going through the motions. You can say that multitasking and not taking stock of what needs to be done is how we can drop the ball on some things. I think something else we can do is to reflect on and put into perspective things that may or do stress us. Decide before hand how you will react to some situations. So as Scott mentioned, being cut off in the traffic, decide how you will react in a nonaggressive way so that you are in more control when the situation arises. Recently I am finding that engaging in physical exercise is a great tool for managing stress. It helps to exert some of the energy you may have wanted to use in a confrontation to something personally beneficial. It is not good to go from day to day with building stress. Physical exercise can also help you to sleep better and increasingly we are learning of the incredible importance of getting enough sleep. Getting too little sleep is not a bragging matter. You are not cool for getting less rest than the next person in the office. It is dangerous on so many levels including increased rising risk of heart disease. Lastly, I want to suggest talking to someone you trust. This is important in two ways I think. Firstly, you are not keeping these things locked up inside you. Secondly, you may gain a better perspective on your stresses when you unpack them with someone else. Today I am not going to focus so much on current tech news and more on something that I have been struggling with in technology myself lately and that is Wearable technology or specifically, Fitness Trackers in the wearable tech space. This topic is a branch of a gripe I have with technology which is that it makes life really simple when it works, but when it doesn’t go as smooth as the commercials make it seem like it should, it can smuggle away precious minutes and even hours away from you. An example, I have a non-smart TV presently because I seldom watch TV, I do not even have the satellite TV decoder for the dish already provided in our apartment building. Instead, I have a Google Chrome Cast plugged into the back of my TV which I may use for some Netflix or YouTube while on the treadmill. This evening, it took several attempts to get the Netflix to launch on the Chromecast and then eventually play the content I wanted to play. I almost gave up. I am digressing a little but my point is that these things are great when they work but when they do not they are extremely frustrating. The same can apply to services like medical or life insurance providers and their incentive programmes to track your health and fitness – thereby reducing their risk – by dangling the carrot of premium reductions or other perks if you try to be more healthy. South Africans listening to this show are all too familiar with Discovery and their Vitality programme. They have also worked to bring their clients access to the top wearable products at a discounted rate – depending on their fitness level – including the Apple Watch or Samsung Gear range of devices. Personally, I am not a Discovery member of any of their products, instead, I subscribe to some of their rivals including Momentum’s Multiply, a Vitality variation. This has got me looking into fitness trackers again recently as I am trying to improve on my weight and general health. So let me start off with the disclaimer that I am employed by Samsung and have the opportunity from time to time, to experience their products for different periods of time. The same is true for the Gear S3. For a few months, I had the fortune of making use of this product. It was not the first time I had used a Gear smart watch having even owned the very first Gear before I even worked for Samsung. 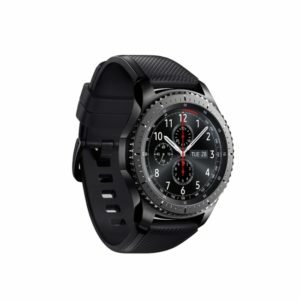 There are two versions of the Gear S3, I prefer the Frontier edition styling wise plus the leather straps that generally come with the Classic version are not ideal for exercising with. I must point out that in Africa, the Gear S3 is only available in Bluetooth option so that you cannot make calls from it if it is not in range of your phone. (Something I miss about the first Gear S model which had a SIM slot that you could change SIM cards on yourself). While the Gear S3 it a little big for many, I enjoyed the size of the watch generally. While you cannot swim with it, it is water resistant and I never had issues with it getting wet on occasion. Coming back to the ability to take and make calls when the watch is paired and within the range of your phone, this is likely the feature I miss the most on a daily basis from the Gear S3. It is extremely handy to make a quick call or chat while busy in the kitchen etc. The other thing I have come to miss about the Gear S3 since having to hand it back in is the interface. The rotating dial around the face of the watch is fantastic, it has to be the best device to navigate. If you have the budget to allow you to purchase the Gear S3, it really is a great smartwatch. Since I had to return the Gear S3 and still wanted to track my fitness activities mainly, I opted to get myself a Gear Fit 2. It features the built in GPS and Heartrate monitor like the Gear S3 and benefits from a sleek design. It offers a great compromise product on features vs price particularly if you just need the fitness tracking functionality. My only issue personally, is that my insurance provider does not support the Samsung (and to the best of my knowledge, even the Apple) health applications in their Incentive programme for healthier living. This then requires me to connect Samsung Health apps with a few other apps to share data that can then sync back to the health incentive platform. It is frustrating. In light of this, I have had to explore some other options potentially or face paying more for premiums. As I have looked at other products, with the critical criteria being that they must cost 200USD or less, I have kept coming back to three or four main products for the general fitness tracking requirements. They all came from Fitbit and Garmin. I must highlight that my search is biased by the fact that I am looking at brands supported by my insurance provider’s platform, but even in reviews, these two brands seem to face off often, and I suspect this will increase given that some wearable companies are exiting the consumer market. This raises the point though for me, is the wearable market in trouble? My personal view is that while sales are maybe flattening out faster than people expected, retailers continue to have a big focus on the segment and consumers seem to still have an interest in the products, but it is also not a need for many and I think the sector suffers from hype that feels a little familiar. Turn the clock back to Apple’s launch of the iPad and the craze that followed. The market was meant to be massive for tablet devices and sales shot up rapidly with a graph that made people feel certain they had found the next product to replace smartphones. Sadly a few year later people realised they were wrong. The upgrade cycles were longer and the use case for tablets different to smartphones, the product was just not as essential and the sector never really got near the volumes that smartphones offered. The same for wearables. There is certainly no need for every smartphone to have a wearable paired to it, yet that doesn’t mean that wearable devices, particularly smart watches and other fitness trackers, do not have a viable business model now or in the future. It will just feature fewer brands moving forward. Somehow though, I think the market is too cluttered with products and so consumers are to baffled with products to buy. Let me just highlight this with the models I have identified. At the time the Fitbit Blaze launched, I figured it might have a short life cycle. It was entering the market where other brands offered a lot more in smart watch design and functionality. I was wrong perhaps. My dad was given one as a gift and he is happy with it. He is not a fitness geek by a long shot, but I think it has created a sense of curiosity in him regarding his health. The Fitbit Blaze recently got a software update that also brought it up to speed in features with Fitbit’s most popular device among those of my friends who responded to a Facebook poll, the Charge 2. Like most other smartwatches, the Blaze is water resistant but not suitable for swimming or even really taking a long shower. It offers heart rate monitor but no built in GPS relying rather on being paired to your phone and using the phones GPS. I am not going to go into all the feature here, but my main point with this device is that it has benefited from a software update that gives the same hardware a new lease on life. This is really the kind of tech people want. You don’t want to spend a few hundred dollars on something that will be obsolete in a year with no new features being supported by updates. In many ways, the Charge 2 offers the same fitness functionality lacking only really the smart watch, touchscreen features of the Blaze. it is by far the most popular tracker among those I know it seems. The Garmin Vivosmart HR+ is a bit of a different device from the two Fitbits I mentioned (keep in mind I am focused on devices under $200). It is suitable for swimming (though reports say it is not great at tracking swimming) and offers GPS built in when many of the rival products at this price do not. The Vivosmart 3 drops the GPS but offers additional fitness tracking features including VO2 max and stress-tracking. This is where Garmin seems to be differing in their approach compared to Fitbit. The update to the Fitbit Blaze I mentioned, brought to the older hardware the features of the Charge 2 like stress tracking for example. Garmin however, has not been able to, or have chosen not to, give Vivosmart HR+ the features of Vivosmart 3 in an update. There you have some short ramblings and views on fitness trackers and the wearable market. What fitness tracker are you using and what made you choose to buy it? Let me know. This Podcast is published on Anchor.FM or you can subscribe on iTunes, PocketCasts, TuneIn and Stitcher. Today’s Mostly Me Monday feature is a short one. I am going to play back some recent listener call-ins to the show and share some further thoughts or experiences from their feedback. I also have a request for you as my listeners. Many thanks to Darryl for calling in and sharing his ‘handbrake turn fail’ story in his first car. Darryl’s experience reminded me of the time I accidentally did some remodelling of the passenger door on my parents’ car in the underground parking lot where I worked when I got my drivers license. These kinds of things happen when you try to copy other people who have much more experience at showing off. Many thanks to Scott for his point about weekend warrior photographers following last weeks Photo Friday podcast. I agree that it is not about how good the photographer is if they cannot market themselves. Without getting customers you cannot make money. I would like to hear from listeners about how you manage stress in your work and personal life. Since I like to be controversial, let me tackle a subject that will get some people’s feathers rather ruffled by this statement: Everyone is a photographer, and often a very good one. There are many professional photographers that may not like for non-professional photographers to be further encouraged, but the truth is simple, digital has done for photography what Kodak’s Box Brownie has always intended to do, but without the recurring revenue of film and processing for them. The smartphone has only accelerated that process even further today which can be a good and a bad thing, depending on where you are seated. If photography is painting with light, then someone who takes a photograph is a photographer. It is really very simple. I feel like I should just be able to close the conversation at this point, but let me give more context to my frustration, which is actually shared and very well voiced by David deChemin in many respects. There are those struggling professional photographers who would try and proclaim that only someone who has a degree, is published or earns a full-time income from the craft of taking pictures is a real photographer. Many of these same people would belittle the term amateur to indicate someone who is inferior to themselves at the art of photography. Let us clearly understand, the word amateur has its root from words that denote one who has love or passion. There is nothing shameful about being an amateur. One who takes images for the love of the art and can very often create even greater work than professionals is something to be proud of. There have been many professional photographers who have pushed out any kind of work just to get paid. They are making their living from the skills they have, they are not doing the work they are passionate about. An example of an amateur would be the discovered photographer Vivian Maier. For a period of about 40 years ending in the early 1990s if I recall correctly, this passionate photographer collected over 100,000 images of her work documenting life in the free time of her work life as a nanny. Those who knew her appeared shocked to learn after her passing in 2009 and the discovery of her work two years earlier in sales of storage lockers that she had defaulted on the payment of, that she was such a prolific and talented photographer. This to me supports the argument, that an amateur photographer need not be an inferior photographer to the professional, in some ways, the opposite may be true, for they can shoot consistently for their own enjoyment and not merely work that will pay the bills. There is, however, a silver lining I think to some that are still trying to keep their profession of photography alive. While Smartphone cameras have increased the ability for everyone to not only take a reasonable quality image from a hardware perspective but also edit and share the same, there are some limitations of this technology that prevents the humble smartphone camera from working in every environment. So while global camera sales decline due to the popularity of the smartphone, there are circumstances where experience and specialist camera gear will be the cornerstone to a successful image. In the future, it may be increasingly difficult to be a photographer who claims to specialise in every genre – the antithesis really of specialising – but those who build their brand in a specific genre with the required equipment and expertise could carve out their niche for the future. The Box Brownie did not kill professional photography. I do not feel that the smartphone will do the same either. Sure this time the number or professionals may not increase with technological developments, but I think there is still an opportunity to be found in adversity. This evening I felt the need to reflect on what was my first car. Sadly, due to mechanical reasons, it was not my car for very long, but as someone just getting a licence, that first car leaves an impression, particularly when it is a Mini 1275. While my first car was a Yellow Mini 1275 with black stripes if I recall correctly, it was not the first Mini to be owned by our family. As a kid, I recall owning two minis in our family in particular. I am almost certain one was yellow too and the other, the one my dad drove, was a gold colour one. My dad is one of eight siblings and recounts a time where their family had a Mini station-wagon in the family. I am not sure how many they were as a family at that stage but I am sure it would still be more people than would pass road safety in a single car of that size today. That gold Mini 1275 variant that my dad would drive when I was a kid has a fun story. My father is not a small person measuring over 180cm. When I think back on it now, it must have been rather funny to see him climbing out of that car. I think the roof of the car was only a little above his waist. He related the story of how on one trip home from work he took his usual route that included a steep incline with a traffic light. Those who know the Mini from the 1960s-1970s know that the driver and front passenger chair had the hinge up front to flip the chair up over the steering wheel to allow access to the back seats. On this particular day, he prepared to pull ahead of a car along side him at the traffic light as soon as the light changed to green. The challenge on this particular day is that the hinge on the driver seat came loose and the force of the acceleration on the incline tipped the seat backwards. I can only imagine being the car next to my dad. One minute there is a man at the steering wheel of this mini and the next it is only his ankles in view. Fortunately, my dad’s height and the cars small size allowed him to move the detached driver’s seat to the passenger side and drive the car seated from the back seat of the Mini. Back to my yellow Mini 1275 S I think it was. This car was so much fun to drive. It’s power to weight ratio allowed me to accelerate in front of German saloons regularly and it loved to corner as speed to the point that I recall my dad once gripping his passenger chair and firmly telling me to slow down in some bends. While not practical, I had always had this dream of taking a long road trip in my Mini. Sadly there were some mechanical issues discovered within our first year of having the car and it was sold. Still that Mini 1275 left an impression on my mind that I can feel the thrill of driving to this day. Lately, technology has been bringing back icon products like early game consoles or even feature phones. 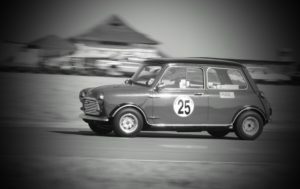 I know BMW has done a great deal with the Mini brand, but I really wish we could see a return of the old Mini 1275 today. Two decades ago the Model T Ford was voted as the most influential car of the 20th century. In second place, however, was the Mini. A true classic in my opinion.